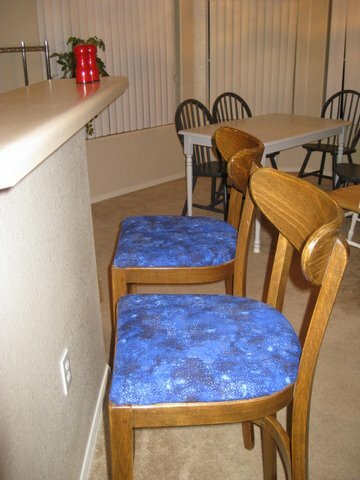 I updated two tall bar chairs with blue fabric. 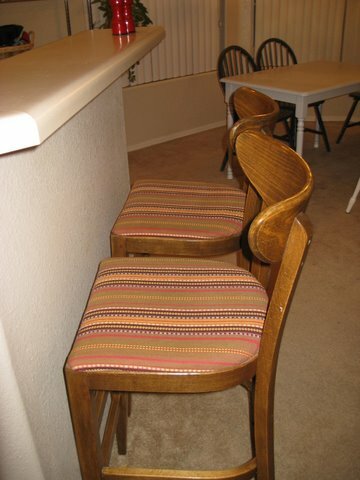 I got the chairs, along with a tall bistro table that is still at my old house until I transport it to the apartment, free from a friend’s mother a couple years ago when she was downsizing. I’ve never been super keen on the stripey seat covers and finally got around to changing them, which took half an hour with the aid of a screwdriver, some packing tape, and a drill. I was surprised to find that I didn’t have as much fabric in my stash as I expected that would fit two chairs. 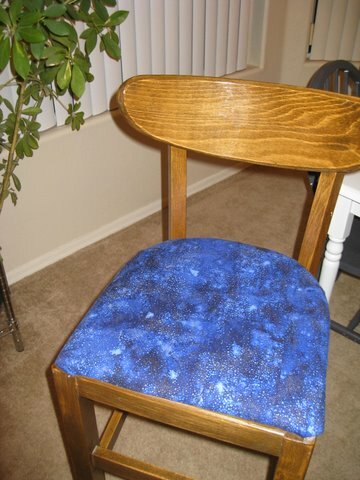 I chose the blue Galaxy print for now. 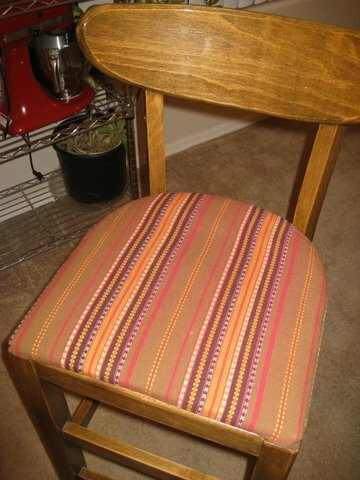 The previous person had added the striped material using duct tape, and I did my reupholstering with packing tape because it’s what I had on hand. 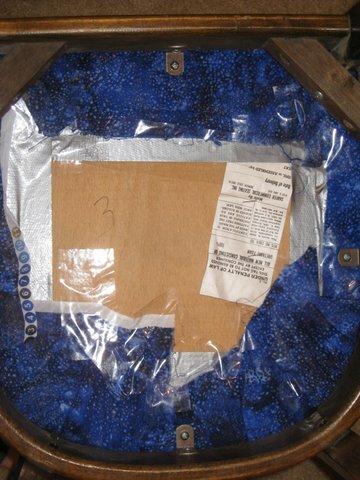 July 10, 2010. Tags: before & after, completed project, fabric, refashion. Pictures, Projects, Words. July 13, 2010 at 5:46 pm. Permalink.